Have a Peace-ful July 4 holiday. Colorful pet clothes from the Posh Puppy Boutique will make your dog shine during the Independence Day celebrations. Take a photo of your pet dressed in patriotic attire and email it to photo@poshpuppyboutique.com before 5 p.m. Pacific Time on Friday, July 5. Be sure to include your dog’s name! The winner gets a $50 Posh Puppy gift certificate. Pictures are posted on our Facebook page. Consider our Firework Rhinestone Tank ($28), which comes in your choice of eight colors. Made with 100 percent cotton, it is comfortable and machine washable. It also looks great on dogs ranging from tiny (double extra-small) to huge (triple extra-large). Another colorful option is our Classic American Rhinestone Bandana ($15). This simple tie-on style comes in small or large and your choice of nine colors. Our America The Beautiful Bandana Collar ($19) features a durable patriotic pattern sewn onto a half-inch wide matching collar. It is available in lengths from 10-24 inches. Consider the Peace USA Tank ($30) with the finger peace sign in red, white and blue and “PeaceUSA” on the edge, all on a white background. Sizes range from double extra-small to extra-large. This desert camo harness works great everywhere except the desert. Show your support for our service men and women by outfitting your pooch in this Desert Fox Harness ($75) made with waterproof nylon. It has the “Sand Storm” camo print on it plus an oversized gold star and a mid-back “D” ring for leash attachment. Sizes range from double extra-small to extra-large. A matching 5-foot leash is $25. Another military-themed product is our America’s Pup Dog Tee-Tank ($20) featuring a flag in the shape of a tank and the words “I Support Our Troops.” Lightweight and comfortable, it has a stay-dry belly. Sizes range from double extra-small to extra-large. Show your patriotism and class the next time your dog takes you for a walk—hey, who’s leading who?—with our American Dog Collars and Leashes in red, white and blue. The fine leather collars ($55) are made with brass star studs, blue sand stone, red jasper and white cateye cabochons connected to quality brass hardware. Collar sizes range from extra-small to extra-large. Matching leashes ($60 for the small, $65 for the large) are also available. This sweater comes in blue and gray. If you live in a cooler part of the country, consider one of our Patriotic Pup Sweaters ($45) in navy or gray. Both feature an American Flag on a plain background. The sweaters are ribbed at the collar and waist. Several sizes are available. The Dog Bag Pet Tent comes in three sizes. Do you want to take your dog camping with you, but your tent is too small to hold them and you? Consider getting a “pup” tent designed just for dogs from the Posh Puppy Boutique. We have several options to select from depending if your trip is a day dash to the beach or several days under the trees. The Tiny House Tent ($55) is a folding, portable dog house. It is available with or without a zippered door. Consider the K-9 Koolee ™ Portable Pet Cooling Bed ($140) for longer periods away from home, like car camping trips and all-day beach outings. Available in sizes for dogs up to 55 pounds, and dogs weighing more than that, the system includes a core pad containing eight individual cooling pouches. A folding tent then provides sun protection, letting your dog have fun without getting burned. The Dog-Bag Pet Tent ($165) has a strong pop-up frame with integrated steel loops. Designed to be portable, it fits in its own back pack, which is included. Best of all, it comes in three sizes to fit dogs from small guys like Pugs to bigger buddies like Siberian Huskies and Rottweilers. The Sun, Rain and Snow Tent For Dogs ($160) also comes in three sizes. This bottom-less design works with the dog bag (above, not included) system. Just stick the dog bag inside and your pet is protected from the elements such as the sun or summer storms. The Umbra Pet Tent works well for car camping, too. Our Umbra Pet Tent ($160) takes the Dog Bag to a new level. Combining a portable pet house, car containment system (for SUV’s) and outdoor tent in one, it pops up in seconds. Carried in a messenger-style bag, it has claw-proof windows and small front porch. Best of all, it comes in small, medium and large sizes. This carrier doubles as a compact pet tent. The Ultimate Backpack Pet Carrier ($105) is meant to help you carry your pet on hikes. Designed to let you walk without being thrown off-balance by a tugging dog, it has a zippered front that releases into a small tent. Mesh side doors let you transport your pet in a well-ventilated carrier. This product is designed for dogs weighing no more than 22 pounds. Snout soother contains sunblock and other ingredients. Many people like taking their dogs on summer trips, including treks to the lake, river or ocean. What they don’t realize is too much sun can hurt their dogs. The Posh Puppy Boutique has four grooming products that contain pet-approved sunscreen. We also sell a wide selection of hats, rash guards—and Doggles— to protect your dog’s eyes from harmful UV rays, rays that can cause cataracts in dogs just as they do in humans. Pet Sunscreen ($16) has a sun protection factor (SPF) rating of 15. 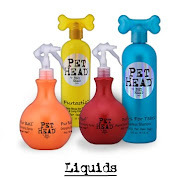 This non oily, non-irritating and silicone free product can be safely sprayed on your dog’s skin or coat. It’s also water soluble, so a quick rinse removes it. Sun Block Spray for Dogs ($22) is designed to protect light colored dogs and those with thin coats from UV rays. Darker dogs will find their coats do not fade as quickly. Flea the Scene is perfect for outdoor trips. Flea the Scene ($19) is designed to take the sting out of insect bites, especially those nasty fleas that get past your regular protection. It also soothes the skin with Indian Frankincense and aloe vera while adding an all-natural sunscreen. Your dog gets double protection. Natural Dog Snout Soother ($19) nourishes, moisturizes and heals your pet’s delicate nose tissues. These tissues get damaged by exposure to the sun and wind—like when your dog sticks its head out the car window. This product helps soothe those irritations while adding sunscreen as well. Protect your dog’s delicate eyes with a visor and their body with a lightweight rashguard shirt, both of which have SPF ratings of 50 or more. We sell both in many bright colors, all of which are also fast drying. Girl dogs will look very feminine in our Floral Stamp Pink Rashguard Shirt ($29) and matching visor ($18). Shirts are made from 80/20 nylon/lycra fabrics for a great look that protects your pet all day long. Our 17 other colorful patterns include Tiki Cobalt($29), Plumeria Purple ($29) and others. Sizes range from extra small to 5 XL for the biggest dogs. These visors shade your dog's delicate eyes from the sun. The visors—like the Tuga Pink ($18) model—also have SPF 50-plus ratings. They fit over your dog’s ears, wrap around their foreheads and shade their eyes. A chin strap keeps them secure. Sizes range from extra-small to extra-large. Colorful, lightweight Rashguard shirts protect your pet from the sun. This soft denim dress is comfortable and patriotic, too. Is your family looking forward to the Fourth of July? Barbecues, good food and lots of fun in the sun take a backseat that night to fireworks displays at many schools and civic groups. Start getting your little four-legged family members ready so they can sparkle and star in the daytime show thanks to a patriotic new outfit from the Posh Puppy Boutique. One of our most popular outfits is this white American Beauty Tank ($30) with red trim and a large tri-colored bow. Sizes range from double extra-small to large. This Soft Denim and Checkered Dress ($35) is blue with a red and white checkered heart on the back, checkered shoulder straps and heart-shaped pocket. Go all out in your patriotic apparel with our Couture Patriotic Party Tutu Dress ($170). This custom, hand-made dog dress has a navy background with a red and silver fireworks pattern plus a glitter effect. Swarovski crystals highlight some of the stars for added bling. The dress has a layered red tulle skirt while the collar is white chiffon adorned with red and sapphire Swarovski crystals. A “D” ring can be added above the trim. Sizes range from double extra-small to medium though precise measurements are requested. Give your dog a unique outfit he can wear in the July 4 Parade: this Couture Patriotic Harness Vest ($142) can be personalized. It features red rick rack, red, white and blue stars and your pet’s name on the white striped collar. Sizes range from double extra-small to medium though precise measurements are requested. Style meets safety in this great looking harness with a strap you can grab in an emergency. Our Starstruck II Carrier ($95) combines the fashion appeal of a stars and stripes-patterned bodice with navy blue trim. Highlighting it is an adjustable safety strap you can grab should a loud noise—fireworks, for example—spook them. Sizes range from small to double extra-large. This hand-smocked shirt is from designer Oscar Newman. One of our newest items is this Liberty Hand-Smocked Shirt ($75) from designer Oscar Newman. It features a red, white and blue American heart flag design embellished with tiny beads and sequins atop a classic blue and white striped seersucker fabric. Sizes range from double extra-small to large. Is your dog a star? This shirt, in red or blue, makes them stand out. Another new arrival that is perfect for summer is the America’s Pup Sequin Star Tank ($15) available in red or blue. It features a large sequined star on the back. Made of a poly and cotton blend, it is machine-washable. Sizes range from small to large. Here at the Posh Puppy Boutique we have more than 200 patriotic-themed pet clothes, toys, beds and treats alone plus a total selection in excess of 15,000 items. Call us at 888-837-5230 with any questions. We will be glad to help you select the perfect item for your special dog or cat. Get the latest news and find out first about super specials by signing up for our email alerts and following us on Facebook and Twitter. KELLE carriers come in several size, styles and colors. Many of us refuse to leave home on weekend outings or longer trips without our precious pups and pets. If you are one of those people, the Posh Puppy Boutique has several very versatile and fashionable carriers for you. Our INFINITA Carrier in black and silver ($110) is an airline approved, go anywhere bag designed for small dogs and similar sized pets such as cats, iguanas and ferrets. Heaving padded and made with hypoallergenic materials, it comes with two short belts that work as carrying handles while longer straps let you use it as a backpack or attach it to a car seat. Adapters are also available for bicycles and motorbikes. The KELLE Carrier ($180) is stylish, simple, Made in the USA, versatile—the shoulder strap doubles as a leash—and works as a kennel on trips. Two sizes are available to hold dogs up to 15 pounds. This carrier is also airline approved. Other versions include the KELLE Reverse Noir Dot ($205), the Kelle Bag in Chocolate Brown ($195) and several other choices. The World Traveller can be rolled or carried. The World Traveller ($130) is a wheeled carrier designed for dogs up to 18 pounds. It can be pulled when your shoulders ache, used as a kennel in hotel rooms and meets most airline travel requirements. It also has a padded fleece pad and mesh panels for comfort. The On-The-Go Duffle is airline approved. This On-the-Go Duffle Bag Pet Carrier ($70) fits within many airline carry-on restrictions. It has self-locking zippers, mesh windows and an interior collar clip. Best of all, it comes in either black or pink. Our Roll Around Travel Pet Carrier ($125) has wheels and converts into a backpack, car seat and pet bed. With mesh on three sides, it offers your pet plenty of ventilation and visibility. It’s also car seat crash tested for 30 pounds at 30 mph. Color choices are black, khaki and red. Fashion is the key to these METRO Couture Toffee Leather Trim Carriers ($280). Made with signature hardware, three mesh windows, an inner adjustable safety hook, three pockets and removable faux fur bedding, this Made in the USA bag is airline approved for most flights. Three sizes are available: petite, small and large. It is also available with Tangerine Leather Trim ($280), Black Cherry leather trim ($280) and several other styles. A similar version in Turquoise and Brown (and other colors) without leather is available for $160. The USB Travel Kit is perfect for people and pets on the move. The USB Travel Kit ($325) makes travelling with your pet more convenient. It includes an airline approved universal travel bag to carry your smaller pets, a detachable lower bag, a small suitcase for your gear (or to store the other items when not in use), a rain cover and a wheeled trolley. Also consider the Sleepypod All In One ($250). It’s a bed. It’s a car seat. It’s a carrier. It’s all three. The Sleepypod lets pets travel in the comfort of their own bed, reducing stress. Made with ultraplush and foam, it is innovative, comfortable and functional and has a removable nylon mesh dome. The Sleepypod works as a pet carrier, bed and car seat. These are just a few of our many pet carriers. 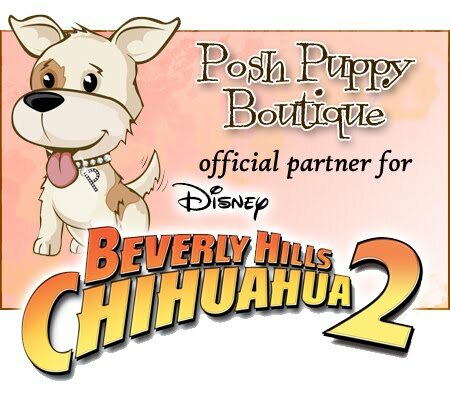 Find them and 15,000 other fashionable pet items at your one stop shop, the Posh Puppy Boutique.